So you may be wondering what on earth a 'Safari Supper' is..I was too! Basically they're a great way to spend the evening with food and friends so there's nothing not to like! My housemates and I were on starters and our doggies couldn't wait to welcome everyone in and get the night started. For our starter we made peppers stuffed with couscous, goats cheese, caramelised red onion and sun dried tomatoes..
As well as (yes there's more!) bacon and leek tart..
And (last one!) Chicken and pesto tart...with a side of rocket and balsamic glaze which you can add to any dish to make it look fancy! All ten of us managed to squeeze around the table and tuck in...wine was flowing too of course! Next we went to Laura, Hannah and Emma's house where devoured this gorgeous roast dinner..They're far too good to only have on a Sunday! The great thing about sarafi suppers is that you only have one course to make so can make extra effort with it which was clear in all three courses! There's always ALWAYS room for dessert....and why not have two?! So anyway, I've started to realise that I'm going to have to stand on my own two feet very shortly once I finish Uni, so really I should stop trying to maintain a lifestyle that I can't actually afford and try to save those pennies! Invest in a 16-25 railcard: I cannot recommend these enough! They cost £30 for the year and save you 1/3 on rail fares. My card bought itself in its first use and with being at Uni, I spend a lot of time on trains when visiting home. Here is the link! Split your tickets: Tickety Split is a great app that searches whether or not your train journey would be cheaper if you divided it into multiple tickets. 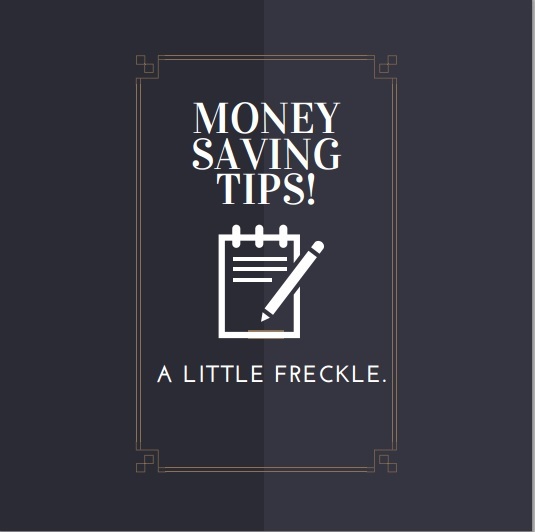 It's not always a major saving but always worth checking! I saved nearly £5 with my last use - every little helps! Here is the link! Aldi and Lidl are the way forward: Honestly, you save soooo much money shopping at places like these. My weekly shop here comes to around £15, whereas in Tesco/Asda, it can easily come up to well over £25! I do my main shop at Aldi and then buy anything extra from the bigger supermarkets if they're not available. Go down a brand level: If you're usually a Tesco's finest fan, try going down to the brand level below. You'll be surprised how actually they're just as nice as the finest. The basics ranges are hit and miss but it's worth trying as some are actually pretty similar to the so called 'better ranges'. Write a shopping list: and stick to it!!!! It's so easy to be tempted and make impulsive buys but having a list will help you stay on track. Scout out your local market: The fruit and veg are a lot cheaper and often nicer than those in the supermarket - plus they're so much cuter to look around! Do you need it? : I still pick things up impulsively but I do always ask myself this question and have been a lot better at putting things back!! Be prepared: My mum has always told me that if I see something nice in the sales, then buy it there and then, even if you friend's birthday is months away! 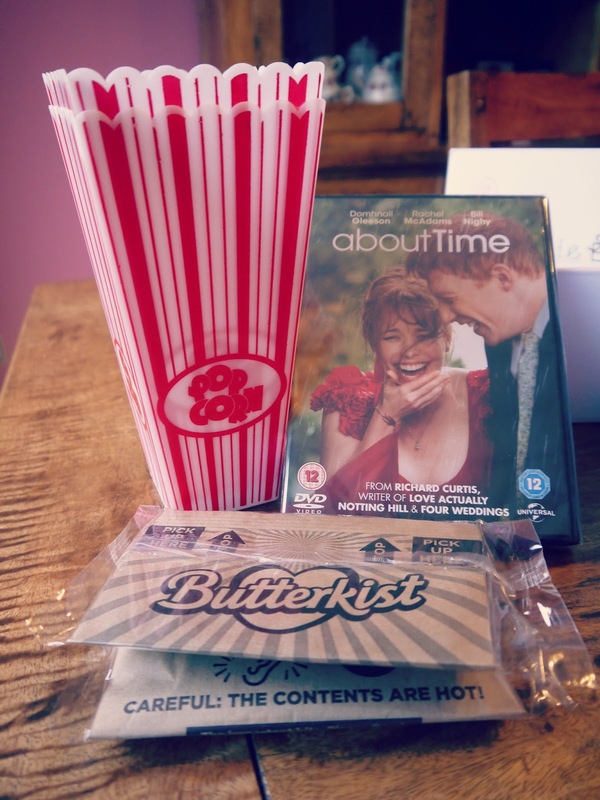 Your friend gets something they like that's worth more and you stick to your budget - it's a win win situation. I've already started stocking up on Christmas presents! Make your own!! : I wrote a post about putting together your own little gift box - have a read here! Be realistic: If you know that you always buy that magazine you love then that's fine, just factor it in. If you can't survive on a £15/week food shop then make sure you budget what you're more likely to spend. I hope some of these help :) Let me know your tips in the comments below! 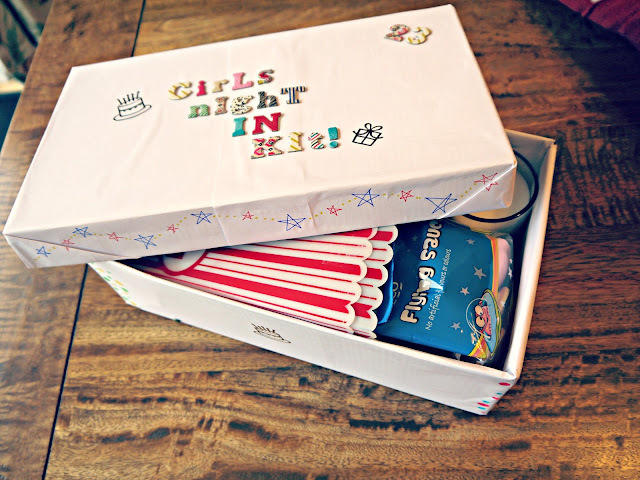 Make your own...girls night in box! 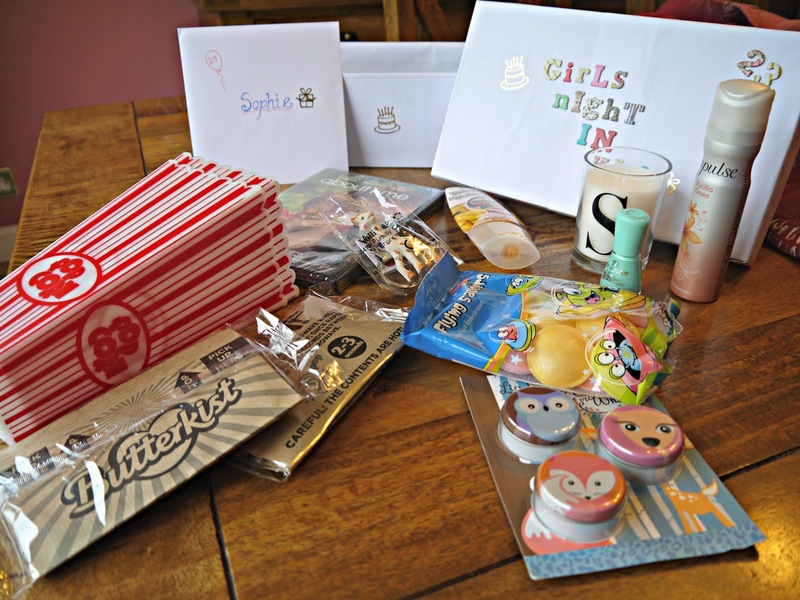 Me and Rachel decided to organise a girly night in for our friend Sophie not so long ago. 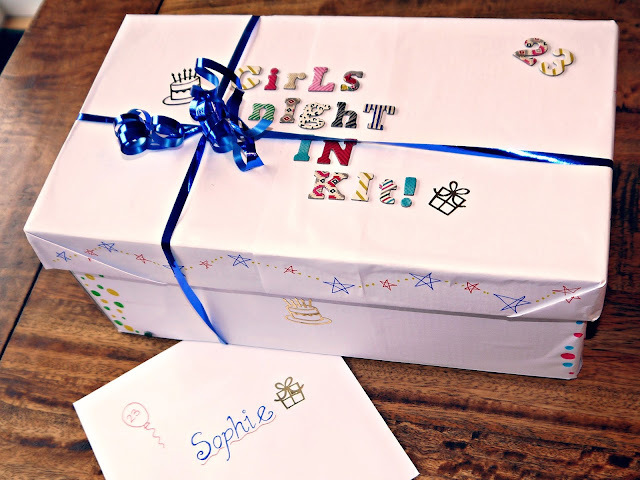 We used to always decorate shoe boxes when we were little and make things from trinket boxes to full on doll houses! So, whilst reminiscing over then cute times, we decided to make Sophie her very own Girls Night in Kit! You can make the box as simple or as crazy as you want. We just glued some white paper on all of the sides to give us a bit of a blank canvas to work with, gathered as many stickers and crafty bits as we could find and got cutting and sticking. 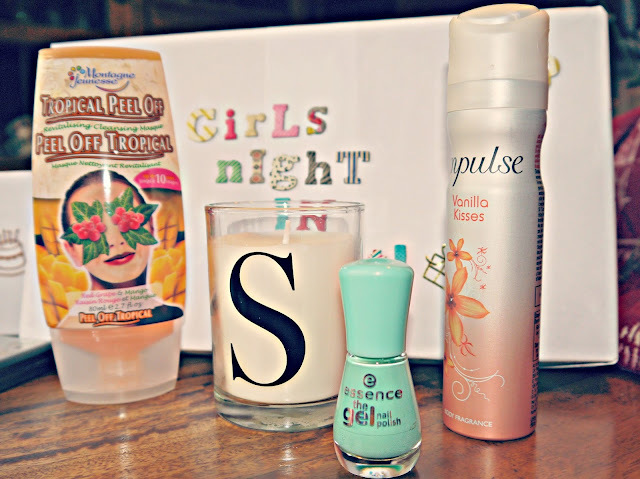 Sophie is a lover of candles and painting her nails so this fit in with the theme perfectly! If anyone can suggest any shops that sell big bags of flying saucers, let me know in the comments as it took ages to find a bag of these...but we couldn't leave them out, they're her favourite you see! 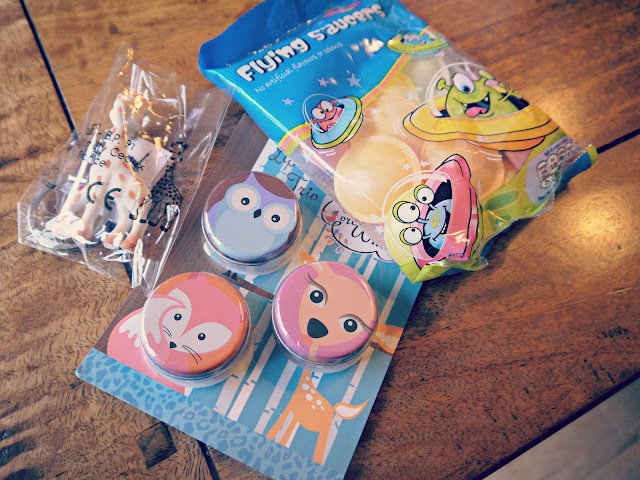 We also snuck in a keyring with her favourite animal on it...just lots of nice, personal little things basically. 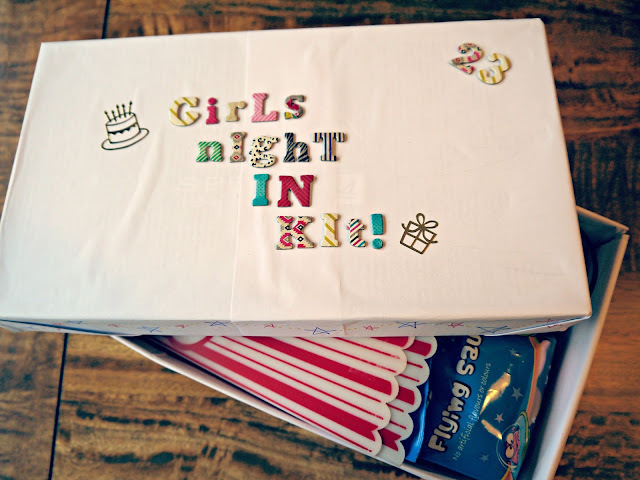 You could tailor these boxes for any special occasion and make it as cheap or as pricey as you like. These boxes meet any budget! What kind of box would you make?